Officials in Venezuela called for a massive march against the United States and “imperialism” on Sunday following reports that the Trump administration met with disaffected members of the country’s military. 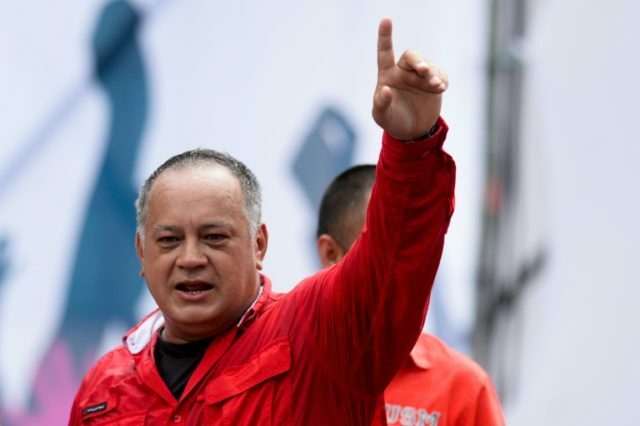 At an event by the ruling United Socialist Party of Venezuela (PSUV), Cabello also blamed the U.S. for the failed alleged assassination attempt on Maduro at a military parade last month, an incident initially blamed on internal actors. Talk of a possible military solution to end the Maduro regime has grown over the past year, as the country’s humanitarian crisis continues to worsen and thousands of people flee the country every day in search of political and economic refuge. In July, the Associated Press reported that Trump personally pressed aides on whether to invade the country, although White House officials and regional Latin American leaders reportedly met the idea with opposition. One of the most prominent figures talking about the crisis in Venezuela is Sen. Marco Rubio (R-FL), who recently argued that that the U.S. may have to use military force to protect national security interests as Venezuela’s regime is allegedly involved in major drug trafficking operations and supports terrorist organizations such as Hezbollah and the Islamic State.